« Was DeSean Jackson giving full effort? 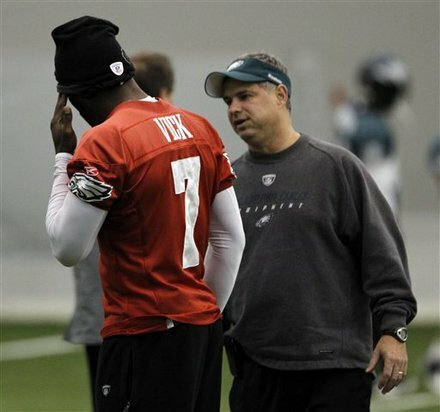 Vick to play on Sunday at Dolphins? Eagles quarterback Michael Vick practiced Monday and told the Philadelphia Daily News he expects to play Sunday against Miami. Vick said the broken ribs that sidelined him the past three games caused him no pain at practice on Monday. “I get better each and every day and (I am) still working hard and trying to get better, but I went out and had a great practice, and I feel good,” Vick said, according to the (Delaware) News Journal.